I would like to welcome you at my cozy apartment for a funny cocktail evening. I will buy all the ingredients for delicious cocktails. 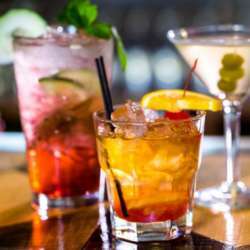 Everyone can then mix his own cocktail and try some recipes to create his very favorite drink. Also some snacks will be served of course. All details will be communicated via private message to all attendees. Minimum number of attendees is 10 and Maximum 15. Looking forward to a fantastic evening with you!